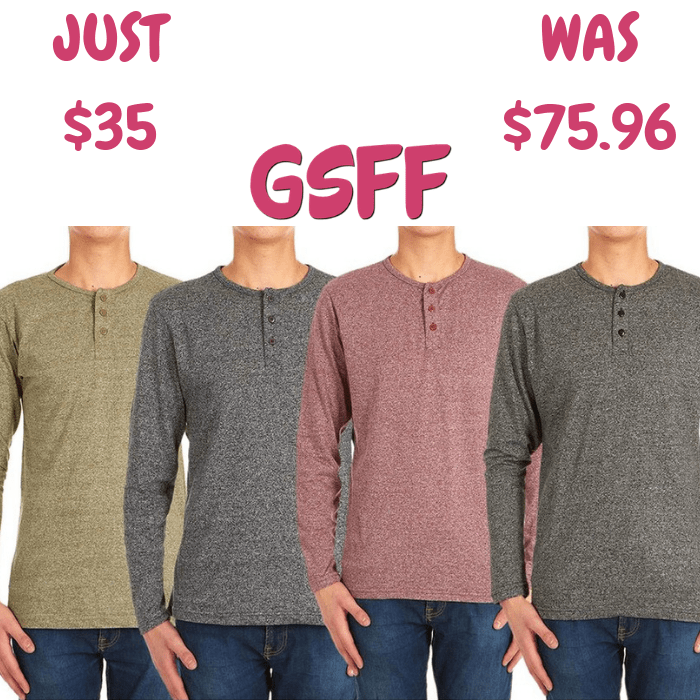 Men's Shirt 4-Pack Just $35! Down From $76! Shipped! You are here: Home / Great Deals / Men’s Shirt 4-Pack Just $35! Down From $76! Shipped! Men’s Shirt 4-Pack Just $35! Down From $76! Shipped! Until December 31 only! Proozy has this Men’s Long-Sleeve Shirts 4-Pack on sale for just $35 down from $75.96 when you use promo code PZY35 at checkout PLUS FREE shipping! Add to your casual style with this long sleeve marled henley shirt. The classic style has a soft knit lightweight fabric for comfort and flexibility.